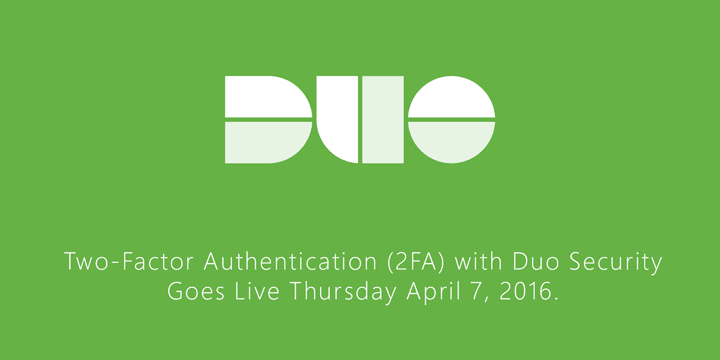 Duo Two-Factor Authentication Live Thursday April 7. At 9:30 AM on Thursday, April 7, 2016, OIT will implement two-factor authentication for SMU staff to certain online services, starting with my.SMU. On April 21st, the two-factor authentication requirement will be expanded to all SMU employees. The two-factor authentication utilizes a solution from Duo Security called Duo Mobile. Don’t have a smartphone, don’t worry. You can also use a landline, tablet, or an SMS. On your desktop or laptop computer, log in to my.SMU and access secure information, such as your past paychecks or W2. Follow the on screen DUO enrollment instructions. We suggest having your smartphone available to scan a QR code with the Duo Mobile app. Add a second device, such as your office phone. To find out more about Duo two-factor authentication, including FAQs about Duo and video tutorials, please visit the Duo service page at www.smu.edu/oit/services/duo.